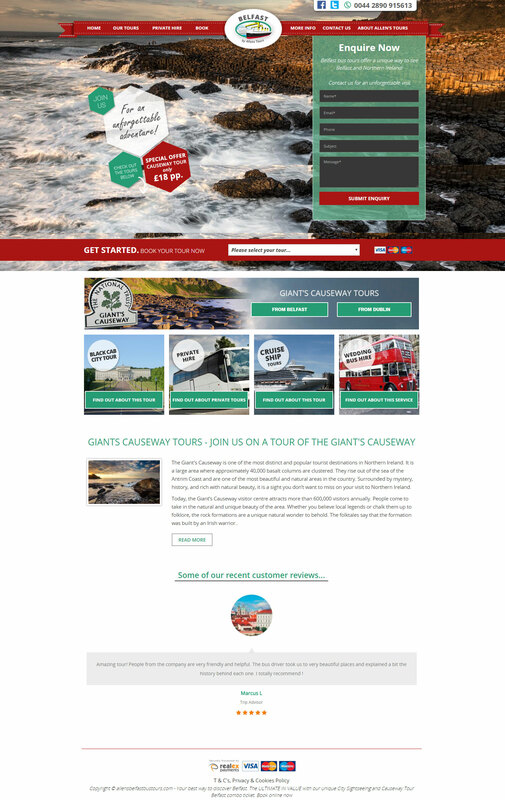 Allen's Tours are the leading provider of tours to the Giant's Causeway. Their new online booking system provides large volumes of ticket sales and has streamlined the business. We had used an seo company for 6 months, but our website did not feature on Google, any more. It turned we had a manual penalty from Google, for spam. Peter and his team realised the last company had deleted emails on web-master tools to cover there tracks. WSI got the penalty removed within two months, and we are now on the right track, and moving up the search engines.We have had a costume booking system and new website built from them. They have a great team who can provide, any type of digital marketing strategy required.I would recommend them to any company who require a digital solution on line.